PEOPLE living in rural communities around Scotland are being targeted by ruthless “county lines” gangsters who want to take over their home to sell drugs. The criminals from the north of England use threats and violence to force vulnerable people in countryside towns and villages into helping them sell drugs. Police say the problem – first seen in Scotland’s north-east – has now spread across the country and a dedicated team of detectives has been set up in response. The charity Crimestoppers has launched a campaign to raise awareness among young people of “county lines” – so-called because of the tactic of using one phone number to arrange drug deals at multiple locations across the country. DCI Mark Bell, of Police Scotland’s Organised Crime Partnership, said: “Drug dealing is not new. What is different is the exploitation. That’s the whole crux of what county lines is. County lines is when criminals from major cities such as Liverpool, Manchester, London and Birmingham expand their drug networks to other areas. The crime is called county lines because a single telephone number based outside the area is used to order drugs. These gangs often set up a base in a rural area for a short time, taking over the home of a vulnerable person, also known as “cuckooing” and use adults and children to act as drug runners. While the problem was first identified in Aberdeenshire, it has now spread to Dumfries and Galloway and the far north of Scotland. Gangs transport drugs across the border from cities in the north of England. The packages are often kept small and deliveries are frequent to avoid significant seizures by the police. Vulnerable people such as addicts or teens are targeted to front the operations. Experts say this can include children as young as 15 and are often people who have been through the care system. They are used as couriers or their properties are taken over to store drugs or cash – a practise known as “cuckooing”. The new Organised Crime Partnership allows Police Scotland and National Crime Agency staff to share intelligence on the gangs. The drugs are typically class-As such as heroin and crack cocaine but cannabis and a range of illegal substances are being dealt. DCI Bell said police have made a number of seizures, but added: “It’s not just about seizing tonnes and tonnes of drugs – that’s not the key to what county lines (policing) is. It’s more basic than that – it’s about protecting vulnerable people. The NCA has identified around 2,000 county lines operating across the UK. Grooming techniques are often similar to those used in child sexual exploitation and often young people don’t see themselves as victims. Flattered by attention and gifts, as a result they are less likely to speak to police. Last month the Crimestoppers charity – where people can pass on anonymous tip-offs – launched a campaign to tackle cuckooing and county lines drugs networks affecting Scotland. The charity’s youth programme Fearless will be visiting schools in the Aberdeen area to promote its “spot the signs” campaign to young people. The campaign is also likely to be rolled out across Scotland. Angela Parker, Crimestoppers’ Scotland national manager, said gangs see rural areas as a soft target because they are less likely to find themselves in a turf war with other drug dealers. She said that the public could help by looking out for signs that someone had been drawn in to drug dealing. Signs to be vigilant for include access to numerous mobile phones, unexplained bus or train tickets, unexplained expensive gifts, school truancy or going missing and signs of assault or malnutrition. She said: “These gangs can use intimidation and violence and people might not know who to turn to. “People from the care system are often a target. Last week the mother of a boy who had been forced to join a county lines gang supplying drugs in Scotland when he was just 13 spoke out. The boy, who is from Greater Manchester, was arrested by police in Scotland as part of an anti-drugs operation. She said he first went missing from the family home after months of truanting and struggling at school. “Things went from bad to worse,” she said. “I thought it was just being an adolescent but it went deeper than that. “When he was brought back he was really erratic. He had this little phone that was ringing. He just wasn’t himself. “To me it looked like he was on something. “When I approached him about it, he was like, ‘I’ve got to do it’. Drugs deaths in the Highlands have hit a record high as police warn English county lines gangs are targeting the region. 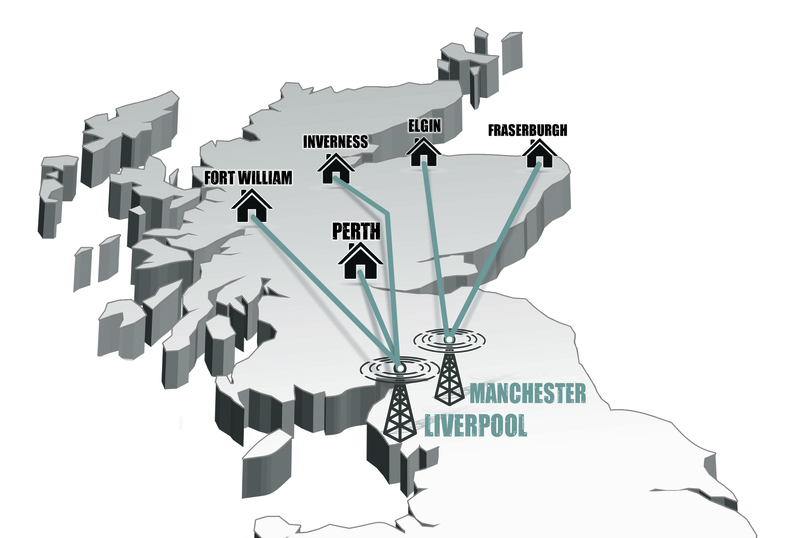 Police intelligence has identified the Moray Firth basin – which takes in Inverness, Ross-shire and Easter Ross – as a hub for county lines operations in the north west. Last year there were 40 drug-related deaths in Police Scotland’s Highlands and Islands’ division compared to just 16 in 2014. But police say they are hitting back – by working with police forces in England to go after the gangs in their home cities. DCI Michael Sutherland, DCI for Police Scotland’s Highlands and Islands division, said: “County lines for us generally circulates around the Merseyside, Manchester, Birmingham, Bradford and Sheffield areas. 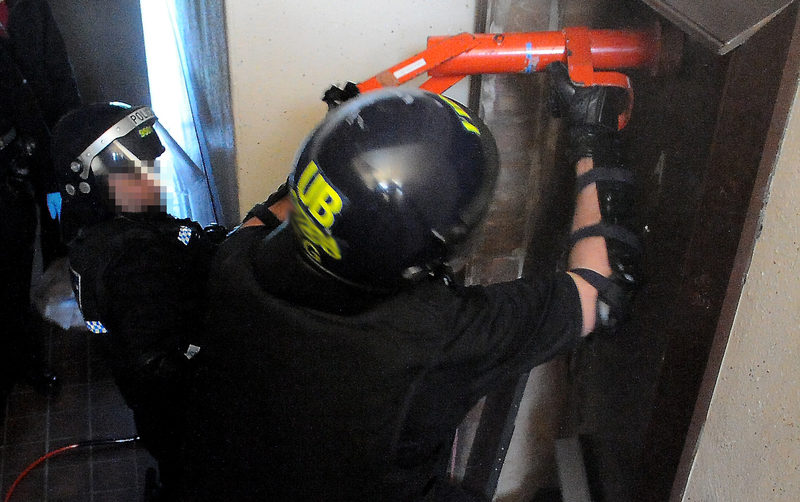 Police have run a number of successful operations which have led to arrests being made in the gangs’ home cities. Last year an addict from Liverpool was jailed after being sent to Inverness to sell drugs. Graham Ball was “presented with unpalatable options” after running up a drug debt to the crime gang. He was jailed for two years after £11,600 of heroin was recovered following a police surveillance operation in Inverness and Elgin. Co-accused, Laura Beckwith, who was jailed for a year, had also been used by the gang to drive consignments of heroin from Liverpool to the Highlands. She sobbed in court as it was revealed she was a first-time offender who had turned to crime after becoming addicted to slot machine gambling. Father-of-three Matthew Wilson also was jailed in 2016 at Inverness Sheriff Court after he admitted acting as a middle man in the sale of cannabis and cocaine for a Manchester-based gang. Wilson, from Dingwall, was recruited by the drugs gang because he was a habitual user and owed £15,000. The devastating impact of drugs is also felt beyond the areas where police intelligence suggests county lines gangs are operating. The popular tourist town of Fort William saw three confirmed drug-related deaths between December 2017 and June 2018. Community councillors have also written to the police highlighting a growing problem with cocaine abuse. Last week a 15-year-old girl from the town needed hospital treatment after apparently taking an illicit substance. Two men who ran a “county lines” drug trafficking operation between Liverpool and Tayside, flooding the area with heroin, were jailed in May at Perth Sheriff Court. Graduate Paul Neal, of Liverpool, was jailed for 52 months after a court was told he had suffered a “significant fall from grace” that ended with him being caught with a £27,000 stash of heroin. Neal had lost his NHS job after getting involved with drugs and fell into debt. Co-accused Sean Thomas, also of Liverpool, was jailed for four years. The pair were caught with nearly £30,000 they had made from dealing the Class-A drug. Colin Stewart, 34, and Richard Cameron, 32, were jailed for a total of almost six years last month following Operation Corner, a high-profile operation to tackle “cuckooing”. Stewart, from Aberdeen, was given a 47-month term and Cameron, who is from Fraserburgh, got 20 months for drug supply offences in Fraserburgh and Peterhead last year. Addict Gavin MacBeath received £60 worth of heroin each day in exchange for allowing a Liverpool dealer to operate out of his house. But supplier Cory Gibson, 21, from Liverpool, was making up to £2,000 a day selling the drugs in Inverness.